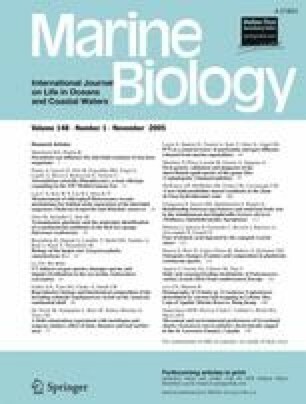 Microsatellite markers were developed and employed to assess genetic maternity and paternity of embryos in nest-tended clutches of the Molly Miller (Scartella cristata), a marine fish in which alternative reproductive tactics (ARTs) by males were recently described from behavioral and morphological evidence. Genetic data gathered for 1,536 surveyed progeny, from 23 barnacle-nest holes in a single Floridian population, indicate that on average about 5.5 females (range 3–9) contributed to the pool of progeny within a nest. With regard to paternity, the microsatellite data demonstrate that most of the surveyed nests (82.6%) contained at least some embryos that had not been sired by the nest-tending (bourgeois) male, and overall that 12.4% of offspring in the population had been sired via "stolen" fertilizations by other males. These are among the highest values of cuckoldry documented to date in nest-tending fishes, and they support and quantify the notion that the nest-parasitic ART is reproductively quite successful in this species despite what would otherwise seem to be highly defensible nesting sites (the restricted interior space of a barnacle shell). Our estimated cuckoldry rates in this population of the Molly Miller are compared to those previously reported for local populations in other nest-tending fish species, with results discussed in the context of ecological and behavioral variables that may influence relative frequencies of nest parasitism. An erratum to this article is available at https://doi.org/10.1007/s00227-005-0074-6. We thank Judith Mank and DeEtte Walker for useful comments on the manuscript. We are grateful to John Barnes, Joe Nairn, and Travis Glenn for suggestions in preparing the genomic library and in microsatellite isolation. Work was carried out at the Genome Analysis Facility at the University of Georgia, and was supported by University funds and by a Pew Foundation fellowship (to John C. Avise). All experiments were performed in the United States and comply with the laws therein.